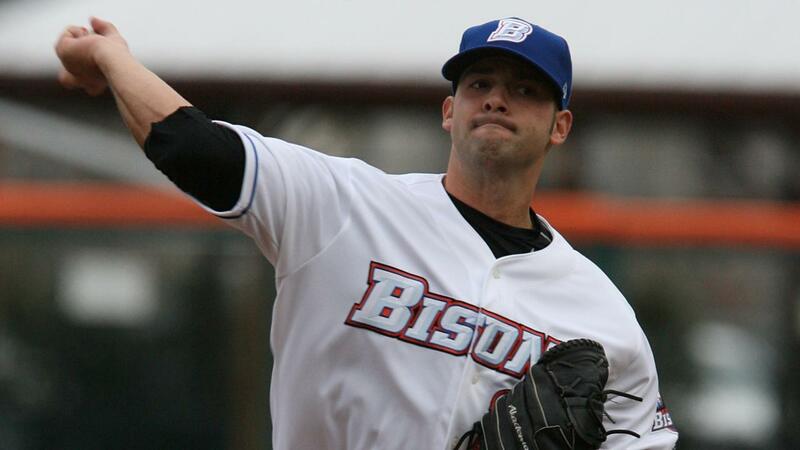 One of the top Bisons pitchers in the modern era, righty Dillon Gee, announced his retirement Monday after a 12-season pro career. Gee, who owns the Bisons' modern era single-season strikeout record with 165 during the 2010 season, spent parts of three seasons with the Herd from 2009 to 2011. Overall with Buffalo, the righty was 15-12 with a 4.76 ERA in 39 starts in 221.1 innings of work. A former 21st round pick of the Mets in 2007, Gee had his breakout season in New York's organization in 2010 with the Bisons. That year, he struck out 165 batters in 161.1 innings of work, topping all International League pitchers by 23 and besting Vicente Palacios' modern era team record from 1990 by 28. He also won 13 games that season (2nd in the IL), finishing 13-8 with a 4.96 ERA. Gee also made his Major League debut during the 2010 season with a 2-2 record and 2.18 ERA in five games with the Mets. He went on to pitch in parts of eight big league seasons, going 51-48 with a 4.09 ERA in 165 games. He went 13-6 for New York in 2011 and won another 12 games for the Mets in 2013. Gee, who will turn 33 in a couple of months, also pitched for the Royals, Rangers and Twins in his big league career. He made four starts for Japan's Chunichi Dragons last year in what was his final season on the mound.